When the time comes to put your house on the market, choosing the right estate agent is a critical decision and can make the difference between getting a good price and not selling at all. But how do you choose the estate agent that’s right for you? 1. How do you research an estate agent? Before choosing who you would like to sell your home, do your homework. Take into consideration recommendations from family and friends and make sure you read the estate agents customer reviews online. Looking at reviews from other home sellers will enable you to get a fuller picture of the service you are likely to receive. At Michael Graham, we are proud to have received glowing Google reviews from hundreds of our present and past home sellers. A quick search of Michael Graham on Google will allow you to see the overall perception of our service and fortify the reasons why to choose Michael Graham estate agents to sell your home. 2. Does the estate agent have experience of selling a property similar to yours? The estate agent you choose must have local knowledge and expertise to achieve the full potential for your property. Browse through the estate agents website to see if they have sold similar properties in your area – this can also give you an idea on guide price. At Michael Graham we specialise in town and country homes and have 14 networked offices across 8 counties. Our experienced team live and work locally and are able to advise our clients on everything from schools and transport links to events and amenities in the area. We also have a central London office in St. James’s Place which is perfectly positioned to target London buyers looking for a home outside of the capital. 3. How do estate agents market a property for sale? Effective marketing makes your property stand out from the crowd and any estate agent worth your while should be able to clearly explain their marketing strategy. At Michael Graham our digital marketing works alongside traditional marketing techniques to make sure that your home is seen by as many potential buyers as possible. 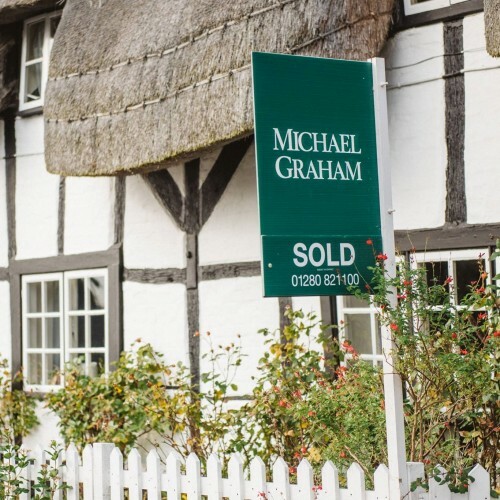 If you choose Michael Graham estate agents, your home will be listed on our award-winning website as well as on national property portals Rightmove and OnTheMarket. Michael Graham’s in-house social media team will create a tailor-made marketing strategy for your home making use of Facebook, Instagram and Twitter as well as placing targeted adverts to make sure your home jumps out online and is seen by the most relevant audience. In other words, we put your home directly in front of the people most likely to book a viewing, all leading to a quicker sale. 4. Do you need professional photography to sell a house? The majority of online house-browsers will make a judgement about a property on the strength of its photos before even considering a viewing. First impressions count, so choosing an estate agent that can make your home stand out from the crowd and get noticed is vital. At Michael Graham our in-house professional photographers are among the best in the business and pull out all the stops to make sure your home is seen in its very best light. Our photographers use the latest equipment including drones as well as 30-foot-long poles to get the best shots from different angles. 5. Should I use a high street or online estate agent? Selling a house can be complicated, especially if there is a chain involved, so you need to choose an estate agent that you can trust. Online estate agents charge an up-front fee and then leave the process of organising viewings and managing the sale to the seller. Here at Michael Graham we work on a no sale no fee basis, and negotiate with solicitors and surveyors and conduct viewings on your behalf. Communication is at the heart of everything we do and when you entrust the sale of your home to us, we will keep you updated with developments and progress every step of the way. On top of regular communication with the Michael Graham team, our newly launched property portal MY MG gives our clients the freedom to keep on top of their sale 24/7 from any online device or tablet, making your house sale as uncomplicated as possible. Are you thinking of selling? Book a free property valuation with Michael Graham today. For town and country properties currently on the market with us, head to the property search page on our website which include the three properties shown below.